My cousin is getting married (Catholic church wedding, 2pm, Atlanta) next Sat. I am a reader so people will see me. What do you think of the following options? 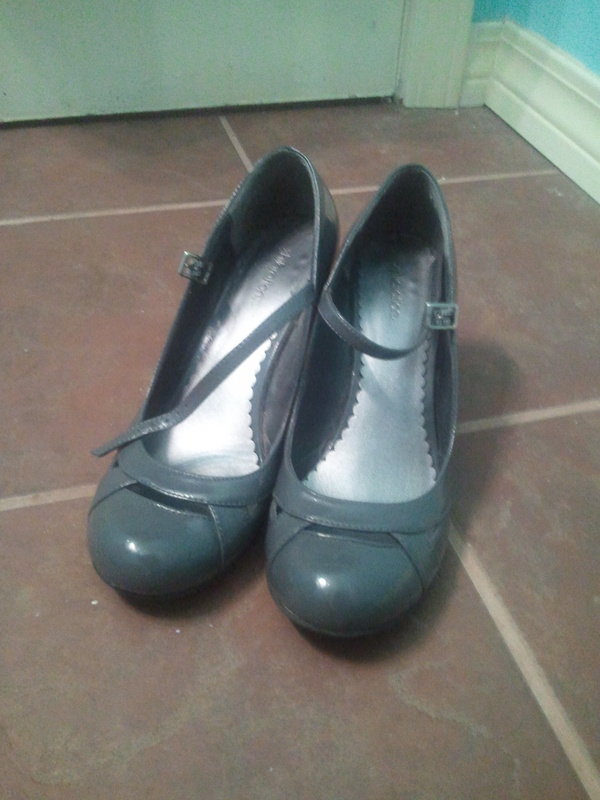 Shoes are the same for both. I’m hoping you mean NEXT Saturday and not yesterday, or I am not so helpful. Sorry! I prefer the maroon dress for this. 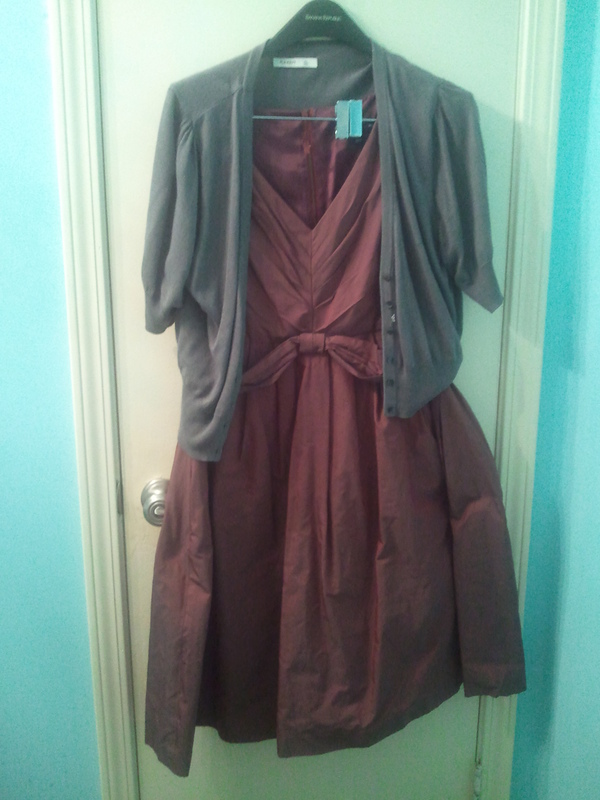 The color is a great wedding color, a great seasonal color and goes very well with the gray shrug. 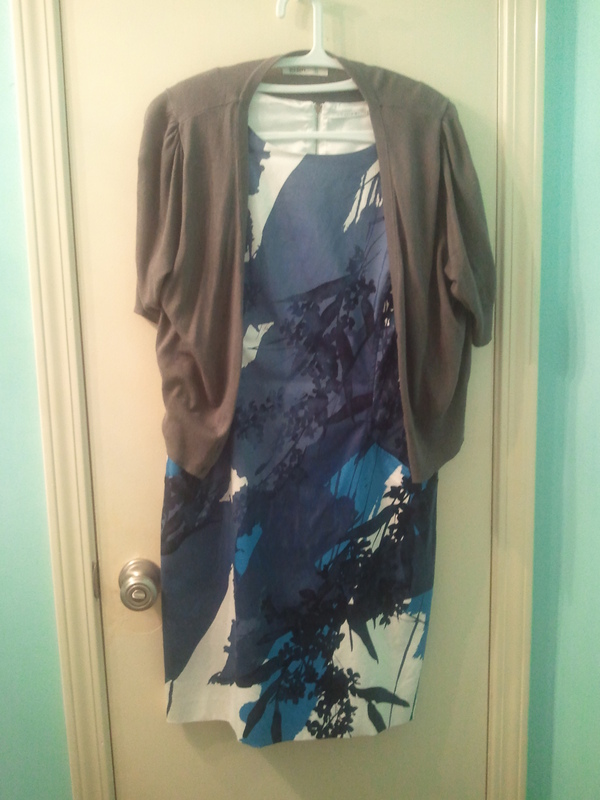 It will also make the gray shoes and shrug *pop* more (it’s a nice combination) than the blue patterns. I don’t like having things over larger patterns like the blue dress as well – I think it stands better on it’s own. (And I’d prefer it with a white or silver sweater, I think.) It also seems a bit more summery. I was in Atlanta last week, and it wasn’t all that wrong. The dress has a great neckline for a really interesting necklace.